The University of Rochester Medical Center (URMC) is home to more than 3,000 people dedicated to scientific research, studying common and rare illnesses, from cancer and heart disease to Parkinson’s and pandemic influenza. These efforts have led to therapies that have saved countless lives and improved human health locally, in the region, and across the globe. Over the last five years, URMC has garnered more than $1.18 billion in biomedical research funding, landing the University in the top 26th percentile of U.S. medical centers in federal research funding. Coupled with one million square feet of state-of-the-art research space, and high-end support services and shared resources, we’re building upon this strong legacy of research every day. The Center for RNA Biology: From Genome to Therapeutics provides a means of conducting research into the function, structure, and processing of RNA. Several widely used vaccines that have improved the health of people around the world are rooted in infectious disease research at URMC. Neuroscience is woven into the fabric of the University, with both basic and translational investigators to be found across more than a dozen departments and centers. The Center for Musculoskeletal Research (CMSR) has been among the top 5 NIH-funded orthopaedic research centers in the nation for nearly 20 years. Every day, dedicated researchers—at Golisano Children’s Hospital, across UR Medicine and throughout the University of Rochester—are working to improve the health of our most vulnerable patients: infants and children. Lynne Maquat, Ph.D. is an internationally recognized expert in the field of RNA biology in which she works to discover new cellular pathways and clues to the molecular basis of human disease. 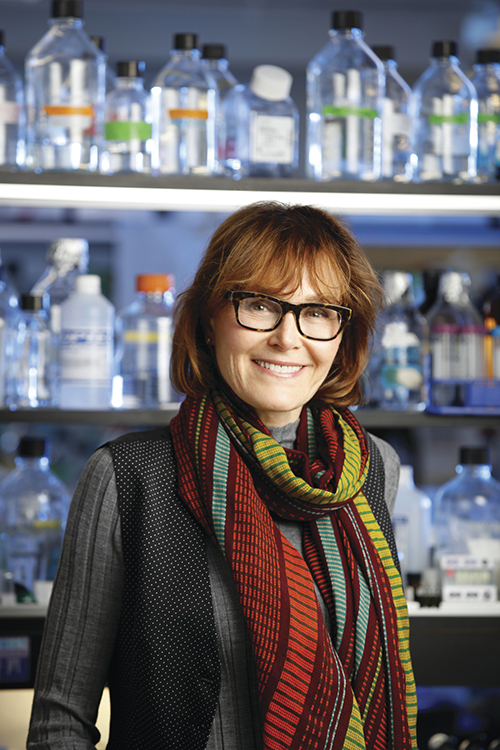 She is the founding director of the University’s Center for RNA Biology: From Genome to Therapeutics. In 2011 she was elected to the National Academy of Sciences and in 2017 she was elected to the National Academy of Medicine. Research in the Maquat lab focuses on RNA decay pathways, largely in human cells, and their relevance to human diseases. One pathway, called nonsense-mediated mRNA decay (NMD) or mRNA surveillance, surveys all newly synthesized mRNAs during what we call a "pioneer" round of translation.